Cala Fornells (Majorca): Port Fornells, 2.9 mi. 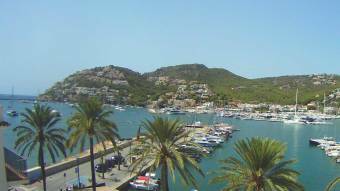 Portals Nous (Majorca): Livestream Puerto Portals, 9.5 mi. Son Vida (Majorca): Castillo Hotel Son Vida, 11.6 mi. Son Vida (Majorca): Sheraton Mallorca Arabella Golf Hotel, 11.6 mi. Son Vida (Majorca): Golf Son Muntaner, 11.8 mi. Palma de Mallorca: Palma de Mallorca Marina, 12.8 mi. Palma de Mallorca: HD PTZ WebCam, 13 mi. Palma de Mallorca: HD Stream Mallorca, Palma, Hotel Saragota, 13.7 mi. 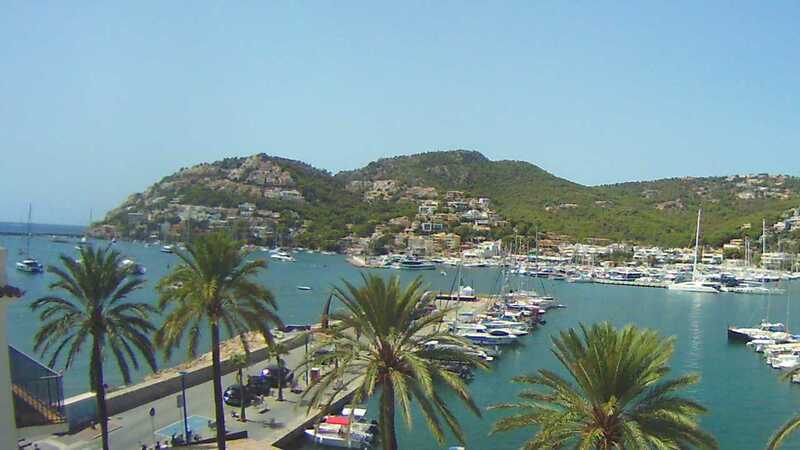 This webcam Port d'Andratx (Majorca) with the theme Harbors was added on April 22, 2013 and is operated by LiveCam-Pro. It got 37477 visitors since then. Shouldn't this webcam work or should the link be wrong please report that here. You can add this webcam here to myCams.